A huge update to the Android version - 0.1.7 is now live! When your friend registers a new account, you will both receive 200 Gold. When your friend gets 50 PHM, you will both receive 100 Gold. 2.) What's New section added on the home screen. 3.) Online status flag removed. 4.) The Quests (ship) icon is rocking and the skull is green when Online, changing it to red when Offline. 7.) New players start with 1 Magnet and 1 Crypto Key. 8.) More bug fixes and game improvements. 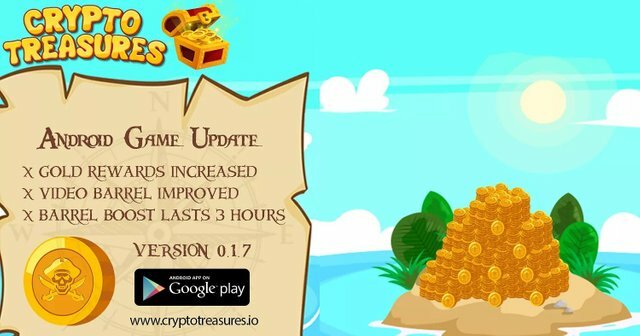 Thank you for your continued support and stay tuned as more treasures and quests are coming soon!